Potassium shares many characteristics with the more prominent mineral sodium. Like sodium, potassium usually exists in salt form, such as potassium chloride. Potassium, along with sodium and calcium, functions as an electrolyte, which means that it balances the amount of fluid in the body and transmits the tiny electrical nerve impulses. Its role in transmitting electrical impulses gives potassium an important role in muscle contractions. The St. John Providence Health System reports that the majority of potassium in your body can be found in your muscle tissue. Most of the potassium resides inside each cell membrane, while sodium ions remain in the fluid surrounding the cells. The balance between sodium and potassium creates an electrical and chemical gradient that functions to transport molecules in and out of the cell and transmit nerve signals that induce muscle contraction. Nerves send out tiny electrical impulses as a signal to muscle cells. In response to the electrical impulse, the sodium ions travel across the cell membrane into the cells. This causes an imbalance in the concentration of ions, which prompts the movement of potassium ions to try to restore the balance. This occurs around the entire cell membrane, carrying the electrical impulse around the cell. Along with potassium ions, cells also contain calcium ions. The electrical impulse stimulates calcium ions to move across the cell membrane to the fluid surrounding the cell. This movement of calcium ions triggers the muscle cell to contract. Magnesium ions found in the fluid surrounding the cells generate a small electrical charge in response to the calcium ions and propels the calcium ions back across the calcium sensitive potassium pump in the cell membrane. This stimulates potassium ions to flow out of the cell, which produces muscle cell relaxation. Potassium plays a vital role in normal nerve and muscle function. A low potassium level inhibits muscle relaxation, causing rigid muscles that lead to tension and impaired function. 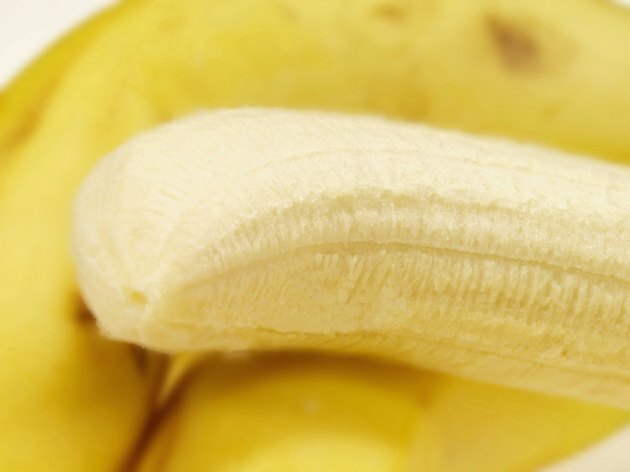 Common symptoms of a potassium deficiency include muscle weakness and spasms, and if left untreated, potassium deficiency can cause the breakdown of muscle tissue, a condition known as rhabdomyolysis. The Institute of Medicine recommends that adults consume 4,700 mg of potassium per day to support muscle function, keep the heart beating rhythmically and maintain a healthy blood pressure.